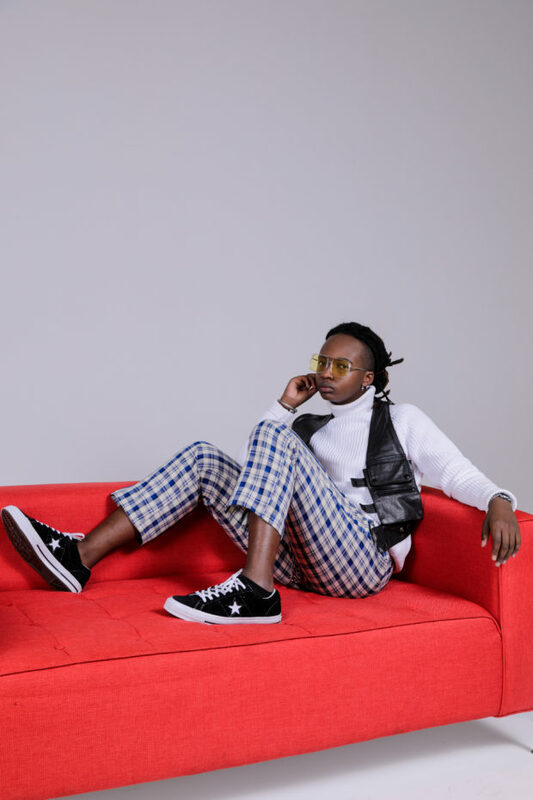 Joburg-born rapper, fashion designer, and member of Champagne69, William Nkuna says while their music may be classified as rap or even trap, to avoid boxing it he simply calls it music. It’s an eclectic mix of different genres and how the final product comes out depends on what inspired it. “It varies, sometimes, there’ll be a day where we feel like doing something RnB-ish but it’s still us being rappers and some days we feel like going on a trap beat”, he says. 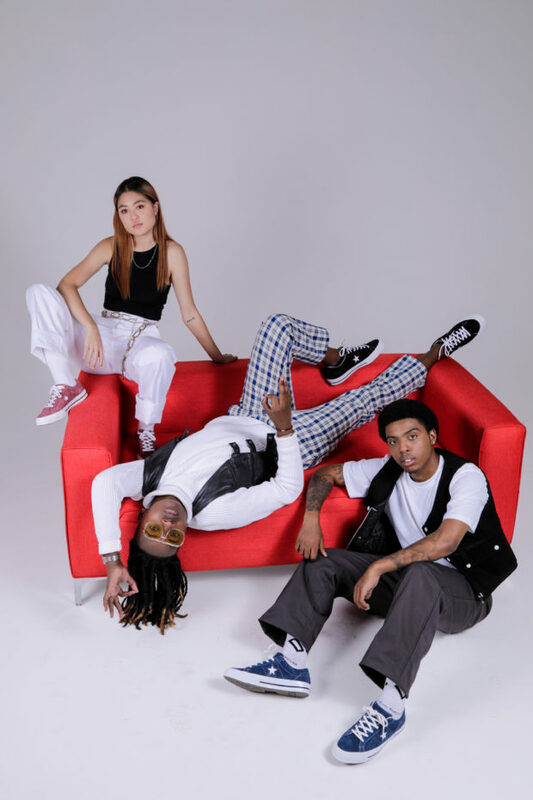 They’ve managed to make a name for themselves in just two years, having performed at the Migos Concert, Back to the City and most recently at Capsule Fest where Converse had several brand activations. Their recently released EP, Army of 2WO has had a warm reception from fans and the duo is planning on releasing more songs in December. As a musician he makes it a point to always step out looking dapper. 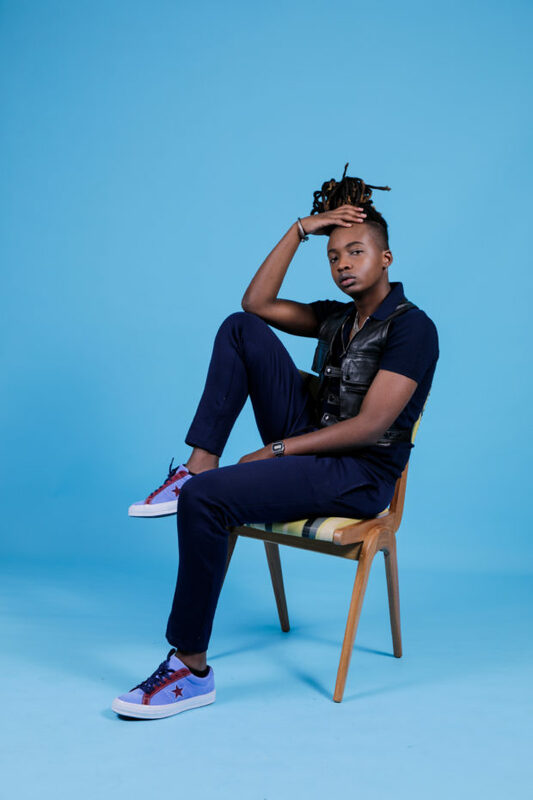 His 80s Afro music-inspired style is clean cut, simple, monochromatic with a pop of colour. He accessorizes with exaggerated jewelry, “crazy boots”, as he describes them and leather straps – something he says is an aspect that represents a big part of his identity and rebellious nature. He chooses to go against the grain by remaining true to himself and “not going in the direction that everyone else is going in” he says. “Being my own person in my own lane, striving to do what I want to do for myself and not for others”. 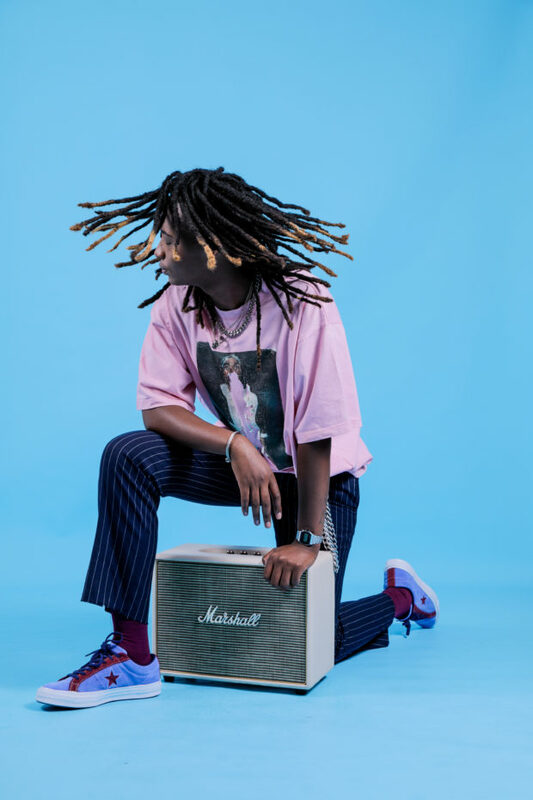 Having a shoe like the Converse One Star is all part of the look for the rapper – it adds flair and originality to his style. William lists the fit, different colours and relative comfort as his favourite things about the shoe. If you’d like to test them out yourself, you can get them at Sportscene.